How To Start a Church Online in 8 Simple Steps! » How to Start a Church Online in 8 Simple Steps! Hi! I'm Tiffany. I'm a mom, wife, Internet Marketing Consultant, and the founder of KOHA. My passion is to share everything I know about applying the Bible to daily life, starting a ministry, and scaling a ministry online. To show your support and to help push the mission forward at KOHA, Become a Patron! Pledges can be as small as $1/per week (less than the price of coffee). Become a Patron! Kingdom of Heaven Ambassador supports our readers with thousands of hours of research, testing, collaborating, writing, and editing to help you get the information you need in order to create a massively successful God-fearing ministry and life. At no additional cost to you, you can support us by using our independently chosen links, which earn us a commission. Read more on our Affiliate Disclosure. You and your spouse are on fire for Christ. You’ve dedicated your life to evangelism, you have heart to serve, and you love to share how your relationship with God has transformed your lives. You decide to start a church, and you’ve looked around in effort to build with the traditional church model. As you looked around, you realized there were many steps like ordination, getting a building, evangelism to get people to come, and so many other barriers you’d have to overcome. As a young couple, you’re just getting your career established, learning to take care of one another, and maybe have kids in the next couple years. You don’t have money for all the things an offline church requires! Getting discouraged, you start to realize that unless you get investors, you won’t be able to start any time soon! You go home disappointed, get on social media and share your research. After posting, you get tons of likes and comments, and you realize that there’s an audience online! But now, you don’t know where to start. This article will tell you exactly what you need to do to take your idea and turn it into a ministry. 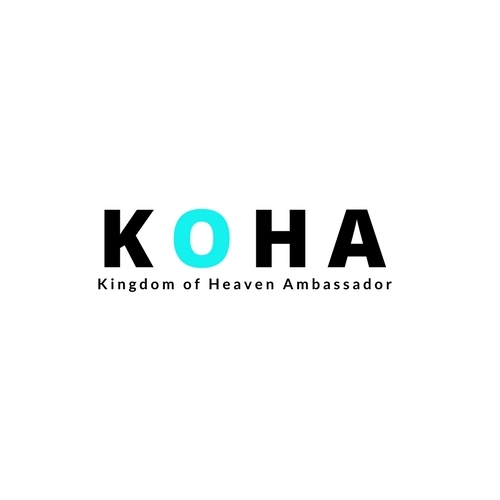 Then, if you’d like to scale the ministry, you can join our community here at KOHA because that’s what our mission is all about: bringing entrepreurship principles to ministry leaders so they can start and scale ministries online. 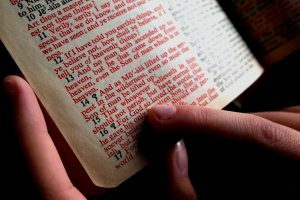 There are statistics all over proving there are many people leaving the traditional church model, however, you’d be surprised to know that if you do keyword research, there are millions (maybe even billions) of daily searches queries about spirituality. In fact, Google receives an average of 4 billion searches everyday! Some people have been fooled into believing the church is less relevant today, when in fact, the church is more relevant today, but not enough people know how to start a church online that meets people where they’re at. People are going to the internet when they have a prayer request, when they want to know how to solve their marriage problems, or when their kids are acting out of control. Shouldn’t the church be able to respond to ordeals like this? False doctrines are spreading like wildfires because the church is not in place! The internet is answering their questions, but many churches are not prepared to respond to queries of this sort. The traditional model churches are expecting people to come to a service when they have a spiritual need or to call and wait to speak to someone. Majority of the millennials and modern-minded church goers aren’t solving their spiritual problems by attending a service or calling a hotline. They’re “Googling”! Unfortunately, they can get unbiblical advice or be misguided simply by landing on a web page of a person who is misinformed. We need more sharp ministry leaders in the field of online ministry! A church online can be a POWERFUL mission. It has no geographic confines and can reach people all over the world. There are tools that give you insight, so you can answer the questions people are actually asking, and there’s major gaps in the information available on the web. If you stick with me in this article, I’ll show you how to start a church online and prove there are many gaps search users need someone like you to answer. In 2015, my husband and I decided to start a church. My husband is from Ghana and I am from Ohio, but because I was in the military, we were living in San Antonio, Texas. We didn’t know many people in the local area. Our family didn’t live nearby. When we decided to start a church we weren’t starting with the ability to leverage circles we already knew. For us, we were starting our church from scratch. We went around to local churches in hopes to rent a space within their church–utilizing time slots that wouldn’t compete with what they were doing, but not many churches were open to that. Many of them wanted to collaborate only within their denominations, some wanted to spend years mentoring us before considering allowing us to start, and there were many other barriers. When we did find a nice location within another church, it cost $600/month. We were both working, but we didn’t have $600/month plus the cost of all of the other expenses to start the church, but we still had a heart to start. We didn’t let the research discourage us. Instead, we decided to start the church at our house and online, we went door-to-door and had people come. The startup costs were much lower when we started at our house and used online tools to start a website and to stream. The funny thing that we didn’t notice for the longest time is the impact we were having online. We may have gotten 10 people to show up in person, but over time, we’ve had hundreds show up online. They may not have showed up to the live session, but when we recorded ourselves or I wrote a blog post, I can look back and see thousands of visitors and viewers since 2015! I’ve written Christian books that thousands of people have read since I’ve published them! As a result, I see online ministry as a viable and effective way to start a ministry. It may be a nontraditional approach, but there are many people who want to grow spiritually, and who feel they are not finding what they’re looking for in a traditional church model. You can help those people by learning how to start a church online. You can intermingle live sessions with recorded sessions, and you can have large amounts of traffic to your ministry from all across the world! Simply by setting up technology i your home, you have the potential to make a huge global impact! Even though you’re starting a ministry, it requires a strategic plan. You don’t want to leave your ministry to happenstance. It’s important that even if the startup costs are low that you sit down and consider what you’ll need, how you’ll pay for it, how you’ll continually fund the new organization, and what’s your plan for growth. For direction on how to make a church business plan, check out my article HERE and for fundraising tips to include in your church business plan, check out my article HERE. Incorporating is the legal process for the government to recognize a separate entity is being formed. There are many benefits to doing this including tax benefits, accounting and recordkeeping benefits, and credibility. Often, people incorporate ministries as nonprofit organizations, but that’s truly your choice. Some ministries incorporate as for-profit organizations and others use the DBA for as long as possible. Here are a few articles that can help you with how to incorporate, and how to start a business with $100 or less. For more information on nonprofit benefits, check this article here, and if you’re still confused about which direction to go, I’d recommend setting up a free trial consultation with Rocket Lawyer. After you’ve incorporated and decided on your legal structure, you want to get your EIN number. The process is simple and free if you go directly thru the IRS. You can get your EIN number online, by mail, or by fax HERE by answering a few short prompts. If you choose to apply online, the IRS will give you your EIN number within minutes. The process to create a church bank account is almost identical to creating any other business bank account. It’s important to separate the church money from your personal money, so this step is paramount. Check out my article on How To Open a Business Bank Account HERE. Then, when you’re ready, you can transfer the free website onto a paid domain by contacting the SiteSupport at Wealthy Affiliate so you can have your own church branding. For example, you can set up onlinechurch.siterubix.com by using the free tool here, but if you want onlinechurch.com (a domain without “.siterubix.com”), then you’d have to purchase the domain for $13.99-15.99, and have SiteSupport transfer the free website there. Traffic generation online is an area that is very different than the offline world. The search engines are the main source of website traffic, then social media trails behind that. You have to learn how to respond to what search users are looking for online, how to optimize your content so search engines will serve your content to the user, and other Internet Marketing principles. I recommend Wealthy Affiliate’s internet marketing training for anyone trying to start a ministry or business online. They give you everything you need to know and have a huge community that’s very engaged to help you along the way. 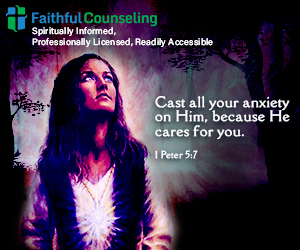 I’m there everyday, so I can help you to start and scale your ministry using the tools they offer there. If you’re ready to start or scale your online ministry, CREATE YOUR FREE ACCOUNT NOW. After you’ve learned about driving traffic to your website, and you’re getting results. You’ll want to learn how to build relationships with the people coming. Since you’re online, it’s not like you see faces when they land on your site. Instead, you use virtual tools. The Internet Marketing Certification will teach you how to get traffic and how to engage with the traffic. After you’ve completed the certification, you can look into email marketing and more into social media marketing to ramp things up even further. After you’ve gotten the preliminaries in order, then it’s time to take massive action. The most important thing in online ministry is content. You have to create content. I’ve written a whole series on content creation that can help you. You can check out my series on content creation HERE. If you’d like to perform live weddings or other traditional ceremonies, you would want to consider ordination because there are legal requirements to perform ceremonies of that sort. You’d have to decide what denomination you want to be a part of, and many other things I’m not a fan of. I personally don’t have ministerial credentials, but that’s not stopping me from being effective in ministry. If you want credentials, do some research, and make sure you’re getting a good service in exchange for your money. Many of the organizations are making you pay upwards of $100 in exchange for a certificate ( a piece of paper!). I think that’s a ripoff! Be careful and ensure you’re getting a service that’s fair for the price. Ordination should offer some mentorship, accountability component, or some other practical assistance besides just a piece of paper, but that’s my opinion. The goal of this article was to show you how to start a church online. I would love to see more ministries who respond to this need for online ministries. If you have questions or concerns about this, don’t hesitate to leave them in the comments section. I’d love to help you out! If you’re ready to start or scale a ministry online, CREATE YOUR FREE ACCOUNT HERE. You’ll get two free websites, 10 free training lessons towards an Internet Marketing Certification, access to a huge community of 1 millions+ ministry leaders and entrepreneurs, and our ongoing KOHA newsletter on starting and scaling a ministry into an enterprise. CREATE YOUR FREE ACCOUNT HERE. Have you started a ministry online? What are the major differences you’ve noticed in online church and offline church? Have you noticed the potential impact of online church? How did you notice? Leave your comments, questions, and feedback below. Hi Tiffany, first up great article and information!! You can tell you were in the military by the use of this phrase lol “Adapted and Overcame”. 2. Great suggestions in here as I attend a Pentecostal church but haven’t been going for the past 5 weeks and been a bit slack but reading my bible every day. A great idea for me to jump online and “go to church” if need be. 3. I like how your ideas are layed out logically and flow from one to the next. 4. Fantastic KOHA website and comprehensive content on there also. Thanks Billy! Im glad the article resonated. I like the accountability of being in fellowship with believers live but the online ministries are also very effective and very much in demand. Thanks for stopping by! Revelation 8-10 Commentary: How are the Shofar Blasts Relevant to you? Join a Community of 1,000,000+ Ministers and Entrepreneurs | Start or Scale a Ministry Today! Would You Like To Start Or Scale Your Ministry As An Ambassador Of The Kingdom Of Heaven? and, our ongoing newsletter with information on how to apply the Bible to your daily life, start a ministry, and scale a ministry by leveraging the internet!